After buying my new bike in June I was aware that the worst component on the bike, other than the fatso on top obviously, was the wheels. It was for this reason that I kept my old Kinetic One wheels rather than the Mavic’s the bike normally comes with. I’d done some casual research into other wheels including some very expensive models and chinese carbon varieties. 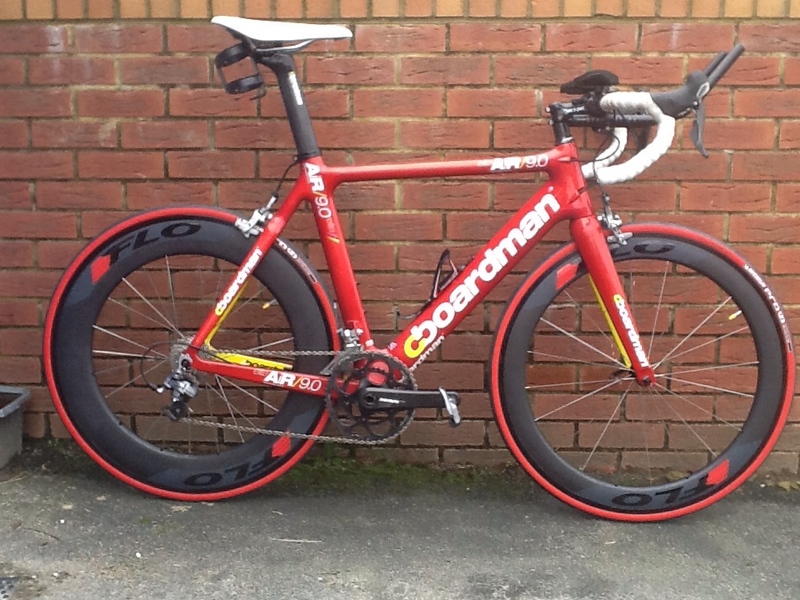 Wheel upgrades were long forgotten until K suggested them as an option as a Christmas present and it was around this time that I’d remembered FLO Cycling were about to opening their third pre-order window so I did some more reading. FLO have a very interesting startup story that would treble the length of this blog post so if you’re interested take a read here. FLO wheels met a few of my criteria in that they were affordable (FLO sell direct to the customer to keep prices down), the performance figures are up there with much more expensive wheels and they look great. One of the other key things I knew I wanted in my wheels were that they were clinchers and offered an aluminium braking track – I’ve had a few moments on my bike and didn’t want to sacrifice braking performance that I didn’t need to by switching to carbon brakes. Plus it means that swapping wheels out is much quicker as I don’t need to swap brake blocks too. Decision to go with FLO done there was only one decision left to make, 60/60 or 60/90. I deliberated and changed my mind repeatedly in the 4 days until the preorder opened and on the day was on the site with many other people as ordering opened. Site went into meltdown but my order for a 60/60 combo was complete while many posters on the FLO Cycling facebook page suggested that they weren’t being quite as lucky – I know FLO were doing everything they could to ensure everyone got their wheels and I think it was mostly all sorted and they’ve promised a more robust mechanism come pre order 4. The day after completing my order I second guessed myself again and sent an email to the guys at FLO – who incidentally seem to reply very quickly – and after taking my circumstances into account they recommended I change my rear to a 90. So I did and then kept my fingers crossed they’d make it by Christmas. Ultimately things were to conspire against me, a strike at the port in LA meant my wheels were late leaving the States and then they arrived and were taken in by Customs on Christmas Eve. I checked the tracking info daily and eventually they were released with charges to be paid just after new year. For Christmas I’d asked for a couple of necessary presents to complete the wheels, namely a new Ultegra 6700 cassette and 2 Michelin Pro Service Course tyres, in red to complement my bike. The wheels I chose were also in the stealth red decals. Once I’d navigate a trip to Parcelforce and paid the £147 customs/duty/handling fee – with that on top the wheels do work out a bit more expensive than ideal but unless FLO get an EU distributor your only hope is that customs let them sail straight through. Finally had time to put everything together and having fitted the cassette realised my torque wrench doesn’t go to the required 40nm so I’ve ordered one from ebay. Came to the tubes and realised that although I’d picked up some Continental valve extenders a while back my tubes didn’t have the required removable valves. So cassette on and tyres half on I went back on-line to order more bits. Ended up going with Conti tubes with long 80mm valves. These have the removable bit I needed and also meant that the 60 wheel wouldn’t need an extender and the rear would need just a single 30mm extender. Tubes arrived and in no time I’d finished putting the wheels together and whacked them on the bike. I probably won’t get to ride them for a bit but it was nice to see how they look and get a photo of the bike with them on. I look forward to getting them on the bike in the spring and seeing just how well they ride both in advance of the Outlaw and having a go at a couple of Strava PBs of course, I’ll report back if anyone is interested. This came to my attention care of one of my favourite bloggers DC Rainmaker who is *the* man when it comes to reviewing sport based gadgets from turbo trainers to running watches and everything in between. 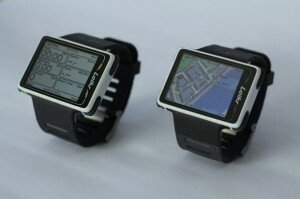 Leikr are a bunch of guys formerly from Nokia who are creating a running/cycling watch to rival what Garmin offer. It’s main USP is the screen which puts Edge 800 style visuals on a watch you can run with. They are currently trying to raise $250,000 via kickstarter and with 10 days to go are about 75% of the way there. Take a look and if you like the idea of the product get on board where you can still make a big saving on the planned RRP of the device. See here for details. K joined NEWT a few months ago and while I was considering it I never got round to it. Despite feeling rubbish at the time and with two weeks out of the pool I went along to the swimming class on the 8th where they do a monthly assessment for new members. This assessment is basically a 400m time trial to assess what swim lane you should start in and to give you a basic assessment of your swimming. Previous readers will be more than aware that my swimming is enough to drive a swim coach to despair but there we go. I told them in advance that I could go all out and do somewhere around 10:15 or take it easier and do 11 which would put me in the slow lane regardless. I did the TT in 10:30 or so (didn’t wear a watch) and was then given a talking to by the coach. Explained my situation but I’m not sure they listened that much and then went down to the far lane to join in the training session proper. A few lengths there and another coach gives me the same grilling. I’m already made up my mind as to my swimming, I’ve tried properly many times and not gotten out of the claustophobic state and I’m OK with that. My joining the club will probably rest on whether they are willing to let me swim my way or insist on trying to make me do it “properly”. For various reasons I’ve not been back to a NEWT session in the fortnight since and I’m hoping K will have a word and gauge where they stand on my swimming. In actuality much of their swim training isn’t going to suit my long distance goal so only one of the two weekly sessions is of use to me. I’d like to join the club but don’t want to join only to never attend. Will make a decision in the next week or so. Been a while since I last blogged and have several stories to catch up on. much like everyone else training over the last few weeks has been a bit on and off. I had big plans to work hard with my training as I had two weeks off over Christmas but as with many others I was taken down by an illness. I’m not sure I completely shook off the previous one and with the stresses and strains of Christmas and the body’s general inclination to break down during rest periods I just didn’t get anything like as much as I wanted done. 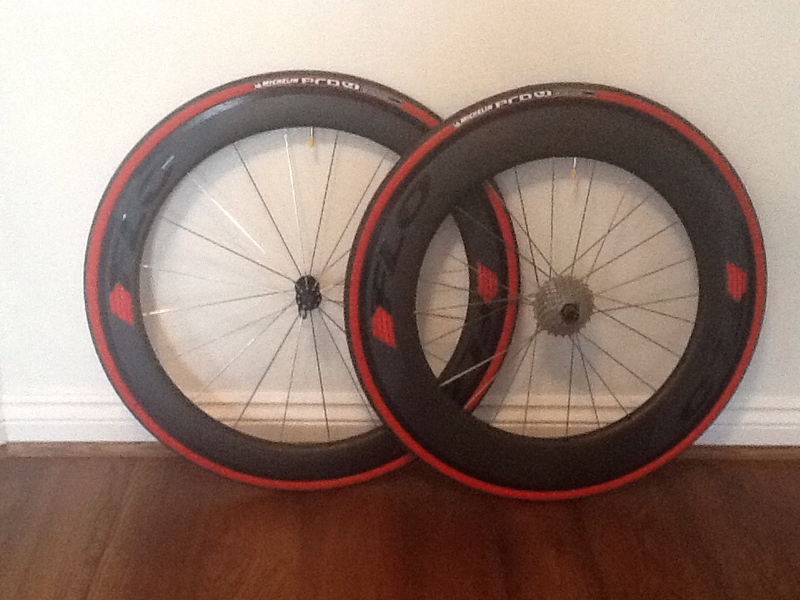 For Christmas K had bought me a pair of race wheels but these got held up in customs on Christmas Eve and it was to be over a week before I could get my hands on them. This was made all the more annoying when I did get out on the road only for a spoke to snap on a descent only 30 minutes into my ride – I must admit to thinking my entire chainset had fallen off due to the noise it was making! Wheel has since been repaired but I’ve been limited to the turbo since then but training has been going well over the last couple of weeks. Some good solid runs, decent swimming and what feels like far too many turbo sessions especially since the snow hit last week. 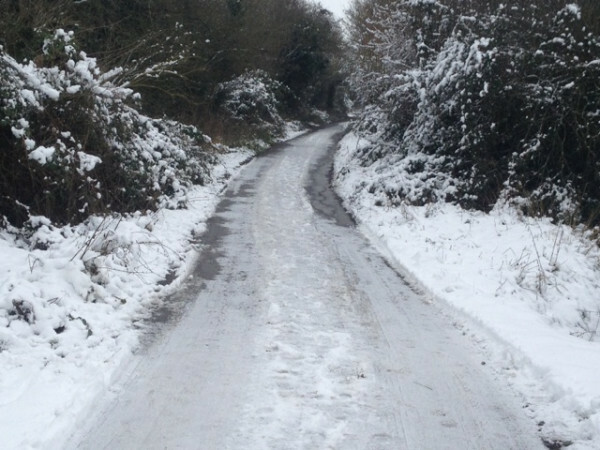 A particularly favourite session was a trail run in the snow while listening away to the Rocky soundtrack. Drago would have had no chance against me that day!